In a bowl, whisk together lime juice, cumin, salt and pepper. Add mango, tomato, red onion and jalapeno. Sprinkle cilantro just before serving. Worried about the heat? Simply remove the vein and seeds from the jalapeno, or just don't add any for a sweeter salsa. Vianney Rodriguez Kick up your next fiesta with this sweet salsa. 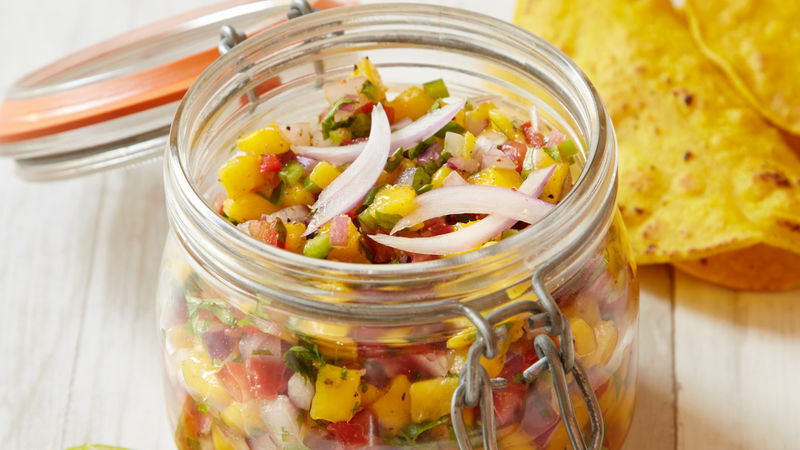 Juicy ripe mangos are the star ingredient in this salsa; red onions add texture and a minced jalapeno provide just the right amount of heat. Serve this salsa with a big bowl of tortilla chips for a pre-dinner snack or serve alongside a piece of fish.